Make no mistake about it: poaching is a brutally violent commercial venture that pays off for a very few with huge profits. Most others end up paying for their lives. Six tiger poachers were killed last weekend during a shootout with police. The shootout took place in the Sundarbans in south-east Bangladesh. If that location sounds familiar, it’s because that’s the region that is home to the rare Bengal tiger. At the scene, police seized three tiger pelts from the poachers which they say were from freshly-killed tigers. “The gunfight went on for about 15 to 20 minutes. 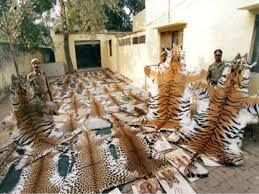 We recovered three tiger skins, and five guns and ammunition. 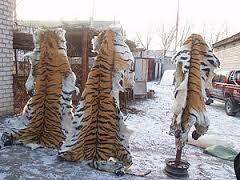 From the look and smell of the skins, it seemed that the tigers were killed not more than a week ago, he said. Rampant poaching is one of the primary reasons why the number of Bengal tigers have fallen so dramatically. According to TigersinCrisis.com, habitat loss and poaching are key threats to the survival of the Bengal tiger. They are not only killed for their skin and for their body parts which are used to make traditional Asian medicines. So this is the dilemma, as we see it: the loss of these three tigers is terrible and unforgivable. But the death of six poachers is also not going to solve the issue. No one is out there doing the actual poaching because they can survive doing something else. 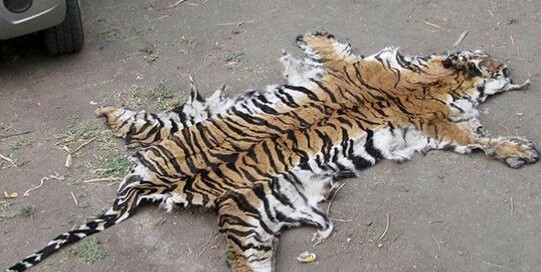 The consumer and the seller of these tiger pelts are not out in the jungle doing the poaching. If there was some way to poach those at the top of the chain, the people willing to pay often desperate poachers who have no other way to make money, that would seem to be better solution than killing those who kill on the orders of others. 15 Comments on "Six tiger poachers killed in Bangladesh after shootout with police"
Damn you all for killing this Tiger!! This picture makes me sick!!! HOPE DIES LAST !!!!!!!! MY HOPE FOR ANIMAL WILL DIE WITH ME !!!!!! GOD BLESS ALL ANIMAL LOVERS, PROTECTORS, ACTIVISTS ……. Whit what right do you kill de most Beautiful cat ?? Not even a hundred if you would are wurth one tiger. Fast money… stupid abuser killers ! !”I really whih that you will be hunted and beaten slowly hurtfully . You are scum !!! Please stop the cruel killing of such majestic animals. They are your national treasure. Protect them instead of killing them. Don’t torture and kill animals! They have the fullest right to live a full life in this world! BLOODY CHINA IS TO BLAME FOR ALL THESE ANIMALS BEING MURDERED!!!!! !